Protecting your company from all the risks inherent in running a business is of crucial importance. 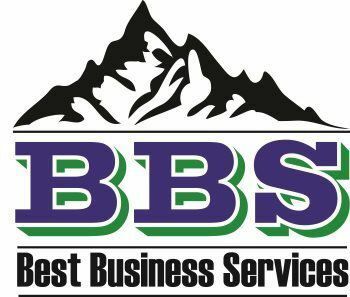 BBS’s expertise and independence allows us to provide the best risk management practices for your company and negotiate the best insurance coverages and premiums for you and your business. One of the key aspects of risk management is scenario planning which is about looking ahead and spotting threats and opportunities. When a company is successfully managing risk it is taking a proactive approach to reduce the probability or the severity of some unknown occurrence that could prevent or seriously derail it from fulfilling its strategic objectives. Risk management opportunities occur in all company activities on a on a day-to-day basis. In a risk-savvy company, every employee is a risk manager. BBS help you identify and recognize every risk in the company and then create a plan to mitigate the risk. Some risks can be best mitigated through the use of a variety of insurance products other risks may not be insurable and may require other risk mitigation strategies. For those risks that can be mitigated by insurance, BBS will make sure you have the right coverages to properly mitigate each risk and that the price you pay is commensurate with the risks you are avoiding. Insurance only makes sense if its cost is less than the risk it is protecting your business from. Insurance companies and insurance products can be complex and exclusions and coverages can be difficult to fully comprehend. BBS’s experience professionals can ensure that you are getting the right coverages from insurance companies that will be around when you need them and will provide excellent service. The last thing that a business owner wants to happen is to have an act of nature like a fire or other natural catastrophe or a theft or accident occur and wipe out many years of effort and hard work. No one knows what the future may bring and we can’t control acts of nature and other catastrophes, but with BBS Risk Management Services, you can be prepared for them and we can mitigate any impact by having the appropriate insurance and risk management plans in place.